Aldi has low prices on all of the basics, and by making your own meals you can stretch your money even further. Here at the Aldi Spot, I am going to share lots of simple Aldi recipes that you can make with Since Aldi eggs are cheaper than the competitors in my area, I decided to make a simple omelet for dinner last night. Omelet is a rare thing in my house, so my kids were very excited, and when they saw the whole wheat bagel crostini the started cheering. 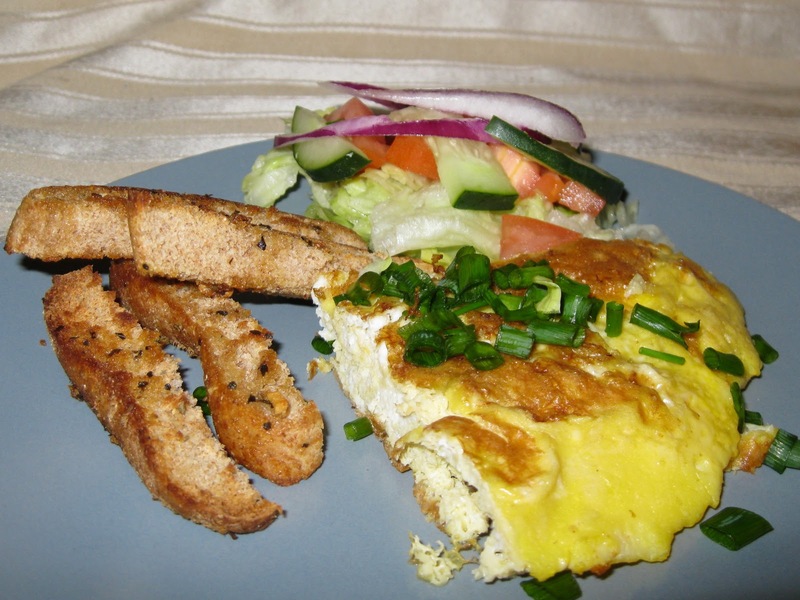 Whisk the eggs in a bowl, add a pinch of salt and pepper. Warm oil in the pan, add the egg mixture, cook over medium heat. When the top starts to look cooked through, loosen up the sides of the omelet with a spatula. 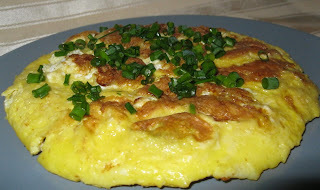 Put a large plate over the pan, and turned it upside down so the omelet comes out on the plate. Add a little oil to the pan, transfer the omelet back into the pan upside down. Add chopped chives for garnish. Cut the whole wheat mini bagels into thin strips. Put the bagel strips on a sheet of baking paper, sprinkle them with dried basil and chopped garlic. Drizzle the bagel strips with extra virgin olive oil. Turn the bagel strips around and toasted for 2 more minutes. 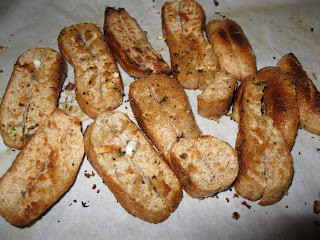 Frugal cooking tip: You can make crostini out of any bread, and it is a great way to use leftover bread. I usually save the ends of our whole wheat bread from Aldi (Whole Wheat bread $1.19), and once we finish the bread, they make great crostini. This recipe sounds great, I'll have to try it sometime! i love the bagel crostini idea - thanks for posting the recipe!